Providence Theological School is an on-line, non-traditional learning institution. It is considered non-traditional because its online programs enable our students to earn a degree with no distant classes to attend, no courses which do not directly relate to the online education you are seeking as is often the case in a traditional setting, and no high costs to prevent you from realizing your education goals. Come and join those who are realizing their dreams and preparing for ministry through such innovative, online programs. Enroll today and take that first step in making your call to ministry in the church a reality! At PTS we offer a broad spectrum of theological thought. It is our opinion that the more we know about each others beliefs, the closer we will be to the Kingdom of God as Christ envisioned it. Course work is typically done on-line using our E-MinistryEdTM program. Work at your own pace, on your own schedule, at a time and place convenient for you without the hassle of traveling great distances to class and at an affordable cost. Students at PTS work through the Office of the Dean of Studies and the Dean of the Theological School. There is no direct contact with PTS faculty members. All of our faculty at PTS are active clergy and this is a part-time ministry for them. They serve mostly as readers of student submissions, and unless they choose otherwise, they remain anonymous to the individual student. 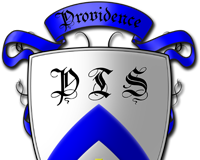 Providence Theology School is a part-time ministry envisioned by ordained clergy from multiple denominations that went online in March of 2006 after a year and a half of preliminary development. As we continue to mature, our courses are evolving on an ongoing basis, and more choices and options are becoming available to PTS students. We are also working with local judicatories, helping to meet their specific needs in preparing individuals for ministry and minimizing the resources that they need to do this task, while costs are kept at a reasonable level for persons involved in this process. STUDENT COMMENTS . . .
. . . It is a wonderful school. The sound godly advice is great and thoughtful guidance is exceptional!
. . . Thank you so much for everything. When I decided I wanted to do another degree and went in search of an institution that fit both my interests and my busy schedule, PTS was exactly what I was looking for. Further, the process has been exactly what you told me it would be from the very beginning. No surprises. And that is always appreciated. I send along my blessings and best wishes as you continue in this important ministry.
. . . Thanks much for your personal involvement with me as a student. PTS is very comfortable for a freethinker like myself.
. . . This has been a very rewarding, thought-provoking learning experience. I am grateful.
. . . Let me say that I have thoroughly enjoyed doing this program with you. The work was undertaken primarily to keep my mind engaged (it's awfully easy in retirement to drool away one's life, and that I don't want to do). The list of books available for the courses provided a challenge, and so the grey cells got a some needed exercise. And I was especially grateful to have such enthusiastic support for [my] thesis.
. . . I can say with joy that I thoroughly enjoyed the curriculum.
. . . This is the best thing that has happened to me and I am so grateful to PTS and to you. God bless you as you have given me the opportunity to study the Word of God through this course. I look forward to an exciting course and time with PTS. God bless you!
. . . This master's program has provided a new perspective for me in several ways, and I am grateful for the opportunity you offer to those of us who work full time and don't have the luxury or the resources to attend a "traditional" theological school. You deserve greater recognition by the National Church.
. . . I have been waiting and working for years to get this close to completing a program of study that means a great deal to me. Thank you to all of you who have helped to make this possible.
. . . This is a wonderful ministry that you are beginning.
. . . I am just writing to submit my last class in my studies as I have called my quest for a Masters Degree. I cannot begin to tell you what a rewarding, as well as informative, instructive and spiritual experience it has been. And I cannot thank you enough for your support and encouragement for your prayers and your eagerness to help.
. . . Thank you very much for the help you've given me. 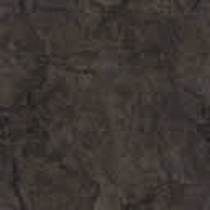 I am proud to have earned a Master of Theology degree from Providence Theological School.
. . . I do appreciate that you have given me such a safe place to learn and grow within. Words cannot truly express the thankfulness for the safety in which I find myself being able to work through difficult issues and studies while working towards this degree.
. . . Just wanted to tell you, I Loved this school which let me study on my own time!!! I loved all the courses and great comments on my papers. What a blessing and then to be ordained a deacon! Providence Theological School is a non-profit exempt religious corporation.